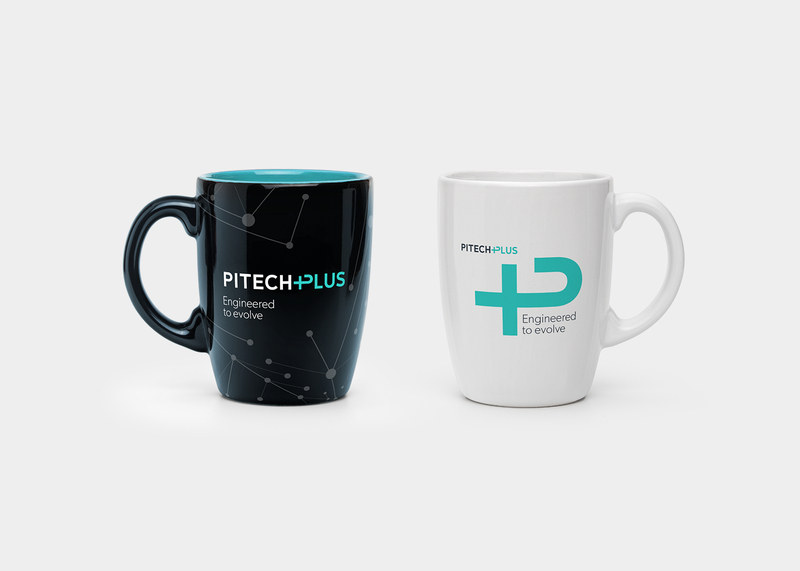 Pitech Plus, a consulting group that offers services in IT&C software development, bring their extensive business know-how for a wide range of industries to help them navigate the complexities of technology. 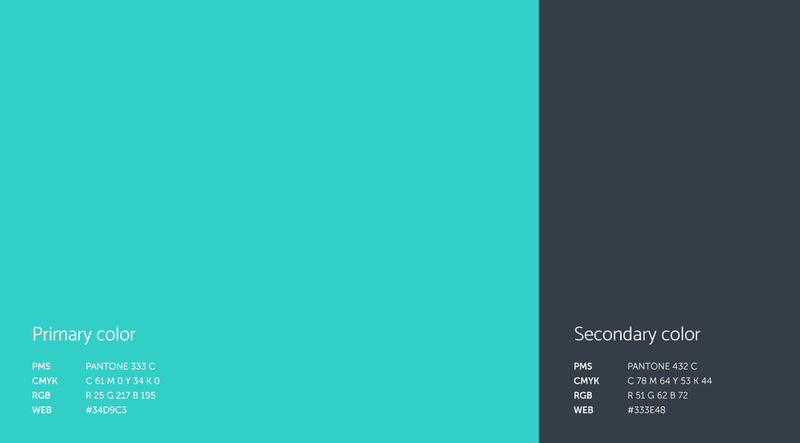 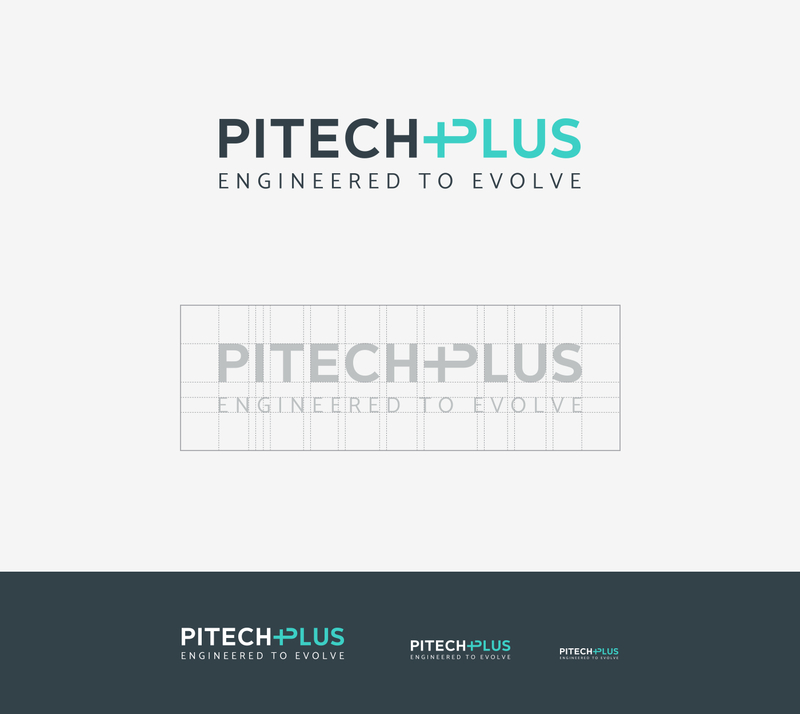 They specialize in development, design, and maintenance of web projects and mobile apps. 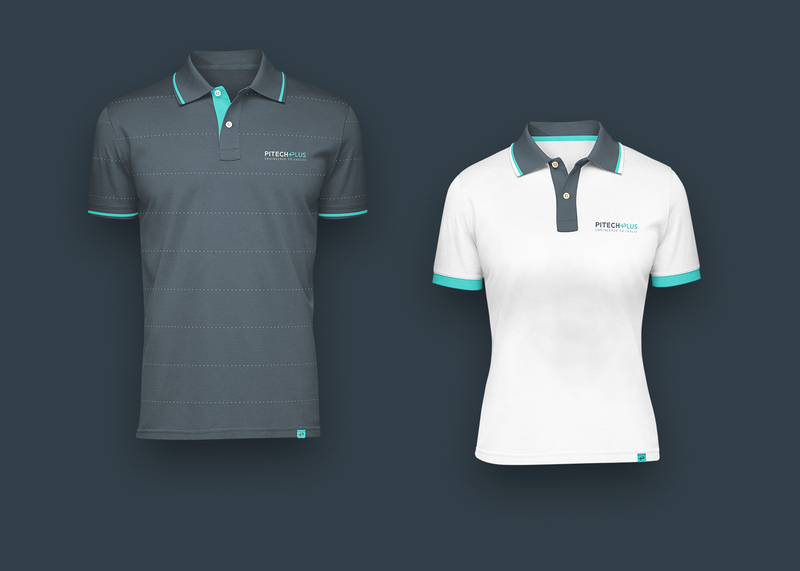 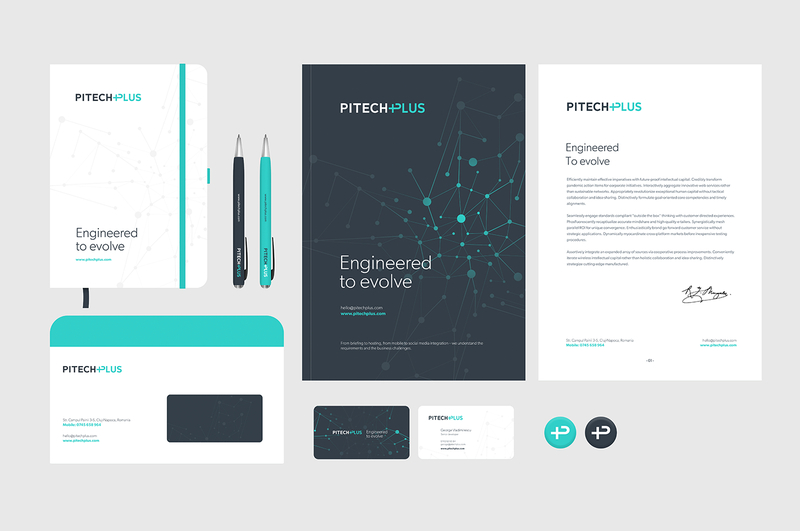 The Pitech Plus brand identity interestingly started in a more traditional form – with pen and paper sketches. 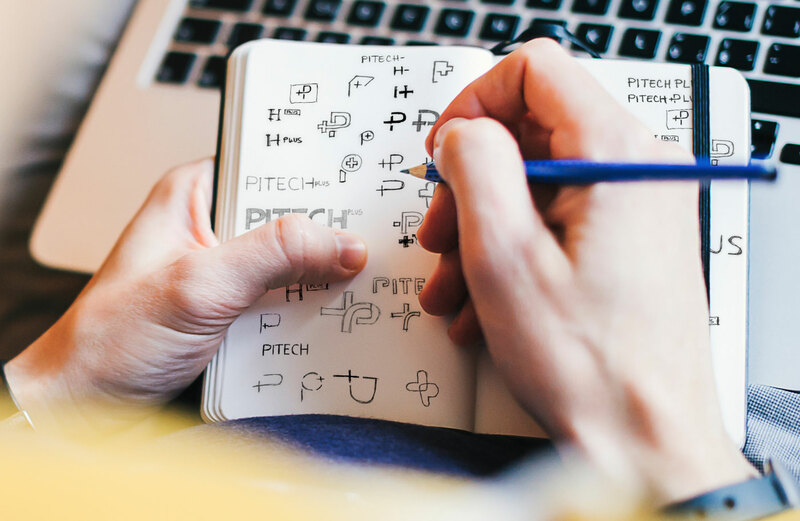 We tried various combinations – from words to icons, from letters to shapes – until we finally got closer to the final visual result that you can see now. 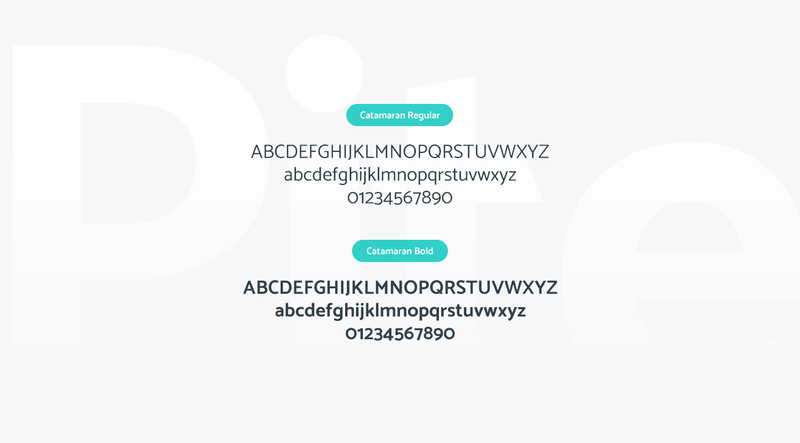 The aim was to create something clear and elegant, a symbol that can be associated with technology through its shapes, colors, and fonts. 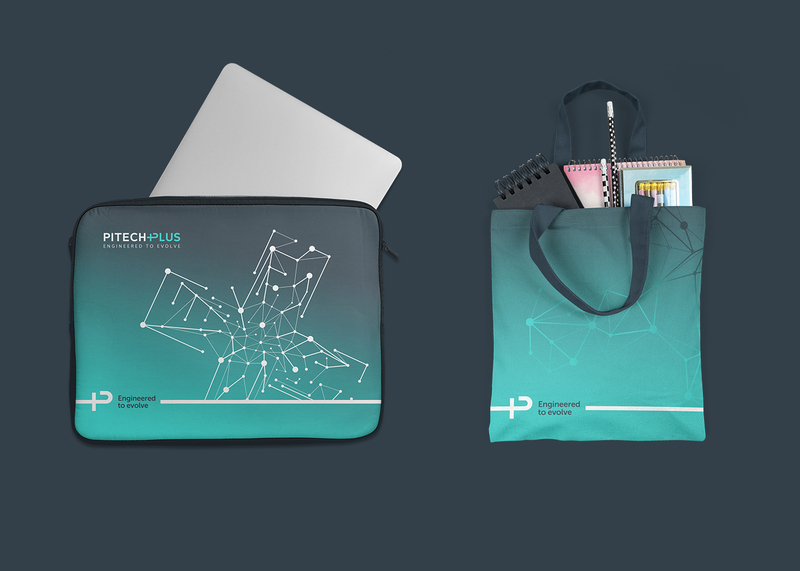 In addition to the logo, we came up with a plus icon made up of dots and lines, which put together with the rest of the elements suggests the innovation and added value that are constantly being generated by the technology domain. 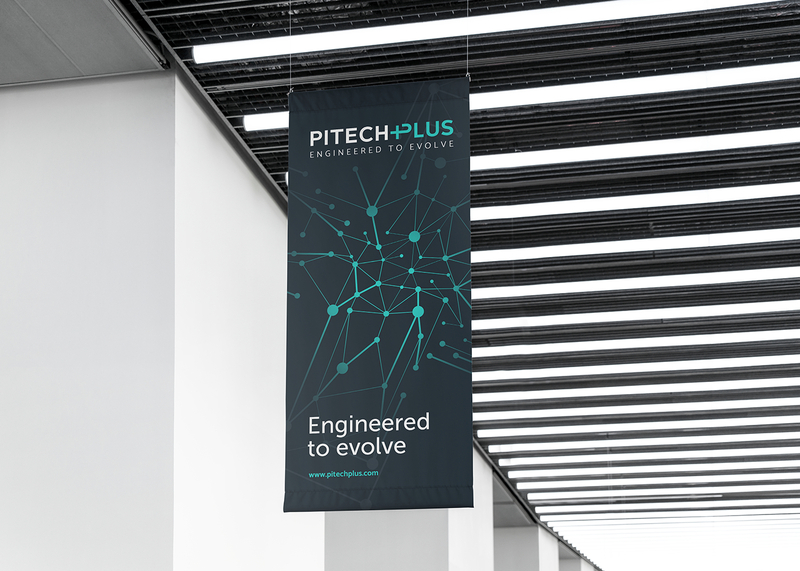 There’s a certain elegance in how seamlessly we moved from pen and paper sketches to a complex design, very much in line with Pitech Plus’ vision of constantly evolving.